His assertion is absolutely correct that in an attempt to capitalize on the latest trend, many firms tack on buzz words without legitimately adapting their technology. Technology design and release cycles are certainly shorter than industries such as automotive, but it still takes time. Some firms may attempt shortcuts in advance of, or perhaps in lieu of, comprehensive new product development cycles. Of course, this begs the question, what does it mean to be IoT purpose-built? What does such technology look like? Mr. Wray recommends, “Before you pick a vendor, ask: Do you think the solution you are considering can efficiently move the right data to the right locations so you can take timely action?” For IoT data to bring value, it must be analyzed and acted on. That analysis also needs to be done in an efficient manner. IoT solutions involve not just data-generating sensors, but the analysis of the resultant data. Security needs to be considered throughout so those sensors don’t simply create multiple new attack surfaces for hackers. No one needs to see this on their thermostat. To be fair, I suppose set up doesn’t need to be fast and easy for a solution to be valuable. It simply needs to have a set up that’s commensurate with the value it will bring once set up is complete. And that set-up process should both make sense and be no more complex than necessary. For example, smart building solutions previously required running cables throughout a building. Not only is that a set up that doesn’t even approach “fast and easy,” it is simply too expensive and complex to be viable. 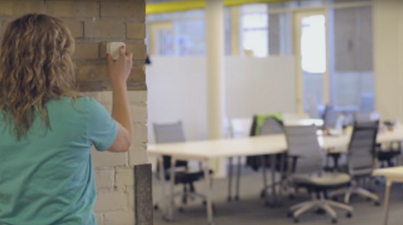 Now Senseware enables our customers to install smart building sensors in a matter of minutes. Purpose-built IoT solutions must enable you to incorporate various data streams. For example, smart building solutions should allow you to collect a variety of data such as water, power, and gas consumption, pipe temperature, humidity, CO2, and vibration. A variety of physical devices generate the necessary data. Purpose-built IoT solutions such as Senseware enable you to collect and combine all of that data in one system in order to get simple outputs that guide effective decision making.